This compelling novel set in New York City serves up more twists and turns than a challenging Formula 1 course. Add some psychological turbulence into the mix and you have the riveting components for a spirited ride. The centerpieces are Emily Barlow (a book editor) and her husband Sandy Portman (a Wall Street businessman), who live in an Old World, Upper West Side apartment in the famed Dakota building. All is well in Emily’s mind but her womanizing husband is becoming bored with her and planning on asking for a divorce in the opening pages. But moments before he is ready to become the bearer of bad news to her, Sandy is struck and killed while crossing the street on a snowy February afternoon, setting the stage for a cast of challenging characters to begin crossing paths with her. These include a couple of stark bookend contrasts — her carefree sister, Jordan, and Sandy’s dominant mother, Althea Portman – plus her eventual boss Tatiana Harriman and, of course, Einstein, an ugly mutt she rescues, only to find out later it is her “deceased” husband morphed into a dog’s body. Sandy’s character assumes a personality transplant from ugly vindictiveness to seeking redemption for his oversights and unfaithfulness, while Jordan, Althea and Tatiana throw one challenge after another at a reeling Emily, who eventually rebuilds herself physically and psychologically. 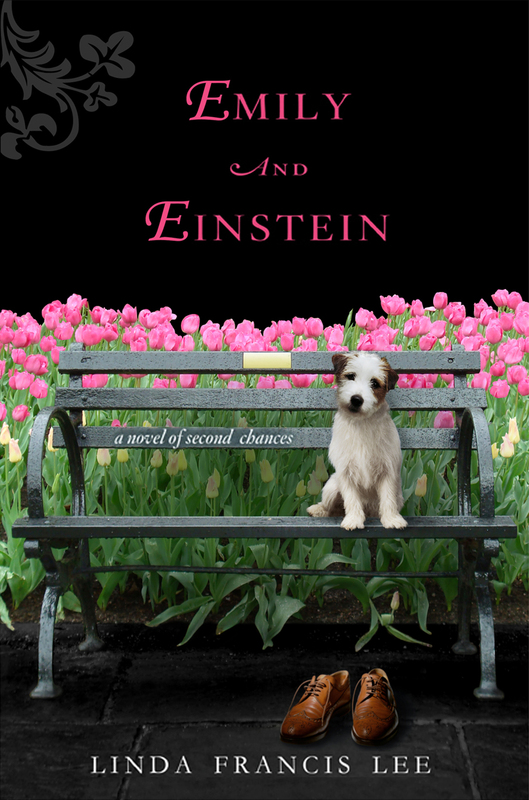 The author beautifully alternates chapters in the voices of Sandy, Emily and Einstein with a seamless flow, mixing fantasy and substance in the form of man and dog. In the process, she develops avenues of second chances for every character, each of whom travels that route at a different pace and in a different fashion. “There was no pain now, just a growing sense of loss, a gentle pureness that I had not fully appreciated stripping away from me. When the separation was nearly complete I shuddered at the realization that by living as Einstein I had developed a theory. In order to live life truly worth living you had to have strength in the race of adversity, patience when confronted with challenge, and bravery in the face of fear. As Sandy Portman I had used arrogance in the face of fear, disdain in the face of challenge and selfishness in the face of adversity. “Emily has been my biggest victim, not because of horrible things I did, but because I had dared her to love me, and when she did I was unprepared for the enormity of that love, the responsibility – something that deep down I had known I didn’t know how to give back. But I had taken it away, handling it without care. Written in a chatty style with priceless character snapshots, Lee’s tightly-wound novel might have you looking at the dog alongside you in a totally different context. Who knows: If you listen carefully, it might even begin talking to you.